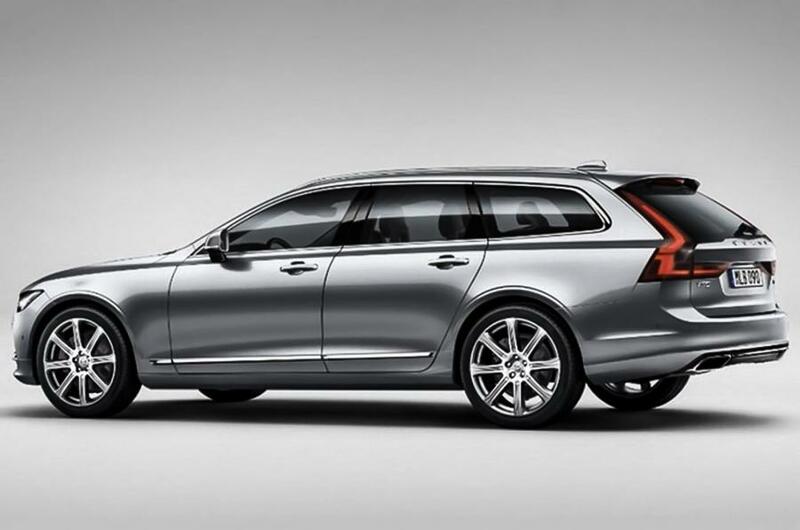 Making a statement in the luxury car stakes is Volvo’s new V90 wagon. Beautifully crafted and ultramodern, it’s the new flagship Volvo that is leading the way. More than capable of unsettling and ousting its main German rivals, the Volvo V90 is a wagon that’s a pleasure to drive. Available in numerous trims, there will be a Volvo V90 wagon that will be right for you. Safe cars are a must in the modern world; with so many distractions (mobile phones, advertising) it’s really important when buying a new car that you get your fair share of safety equipment. Volvo V90 wagons are loaded with advanced safety features for keeping all the occupants safe in the event of a major accident. Each new Volvo V90 comes with semi-autonomous driving aids, the adaptive cruise control with pilot assist definitely being one of the best features. This is a system where a camera and radar regulates speed and direction with a combination of automatic acceleration, braking and steering. Even at speeds of up to 130 km/h this modern technology works faultlessly. Built with extremely strong steel, cleverly designed crumple zones, and boasting an array of airbags on-board, the new Volvo V90 is a very safe choice. Keyless entry into the world of the new V90 adds to the rich feeling of luxury. When inside the roomy cabin, the level of luxury is breath-taking. In my books, the new Volvo V90 sets the standard for luxury car interiors, and it is a cabin-space that truly is remarkably comfortable and cosseting. Modern and appealing new designs are evident throughout the beautiful Volvo V90 interior. 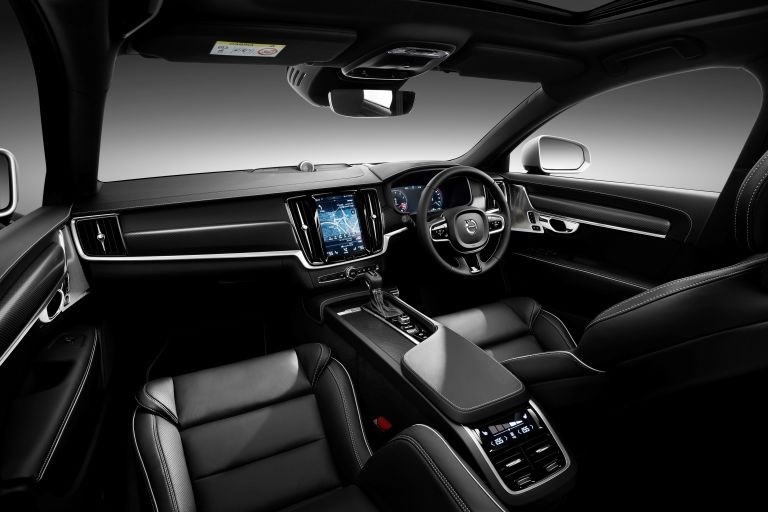 One thing you’ll notice about the gorgeous Volvo V90 interior design is that there is a lack of a multitude of buttons, and this lack creates more pleasing looks and a less-busy dash making the drive more relaxing and aesthetically attractive. 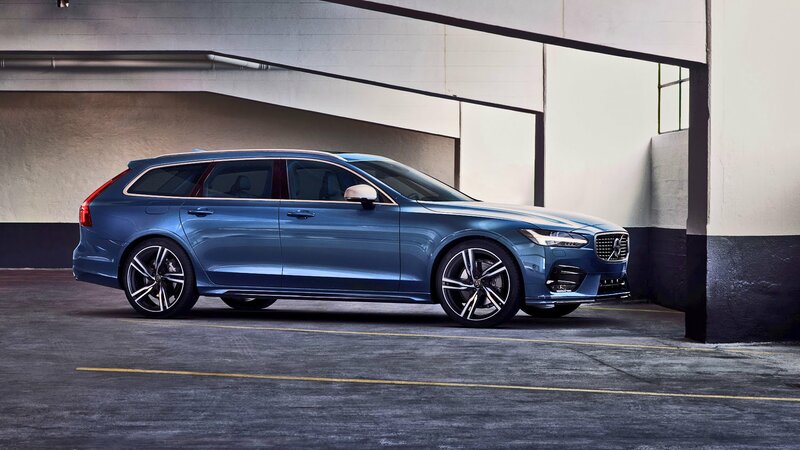 The new V90 has a large high-definition touch screen, a steering wheel with some controls and voice control commands to enable you to connect with on-board systems and information. One of the best head-up displays you’ll find is inside the new V90 wagon. Sensus Connect and Apple CarPlay are features you’ll find in each of the V90 models on offer. These systems integrate your iPhone or iPad with the new centre display, allowing you to easily connect with the digital world that we all are part of. Both voice and fingertip control are provided for, so using Volvo’s technology for dictating messages, listening to texts, calling home or relaxing to music is easy. Built-in USB and auxiliary connectors, wireless connectivity via Bluetooth, and broadband technology, are standard. You can even use the Volvo On Call service to create a wifi hotspot inside the car to connect your smartphone, laptop, or tablet to the internet. Apple CarPlay takes the functions and apps you’re familiar with from your iPhone and makes them conveniently available via the centre display of your Volvo. So, you can write text messages, make a phone call, listen to music and navigate with ease. Volvo V90 models come with the clever Voice control package. This Voice Control system lets you operate climate control adjustments, media and phone by speaking with your voice. Not only is this so much safer, but it’s fun and easy to use. So, what’s the stunning new Volvo V90 like on the road? Excellent ride quality and safe handling are a hallmark of the very comfortable V90 ride. Underpinning the new Volvo V90 is a brand new chassis that rides the road in comfort and safety. There is the option of an air suspension that can be fitted. The air suspension is ideal for those of you who will frequently be carrying heavy loads. The beauty of the air suspension is that it automatically keeps the suspension at the right height for optimum control regardless of the load on board or being towed. Volvo has powered the V90 Petrol wagon with a high-performance T8 Twin Engine. It’s not big and thirsty; in fact the engine that powers the V90 Petrol models uses a 2.0-litre, four cylinder motor that gives you an involving drive as well as cutting CO2 emissions. With over 300 kW available when the 240 kW petrol engine combines with the power output of the electric motor you have a very quick luxury wagon that gives immediate acceleration and on-demand all-wheel drive traction. A maximum of 640 Nm of torque is a statement in itself. The V90 T8 offers four different drive modes which dictate the car’s powertrain. Hybrid mode uses petrol and electric power. Pure mode uses the electric motor only for zero emission driving. Power mode combines the full output of the petrol engine and the electric motor for the best performance, and in the Power mode the part-time AWD switches to full-time all-wheel drive meaning you have some serious levels of grip when driving hard. Individual mode allows you to choose the setup. Choosing a new Volvo V90 as your new car is the easy part. Then you get to choose exactly what you want your new V90 to have, and there is a wide selection of options for selecting exactly the right equipment level that’s right for you. Standard equipment levels in the base model is already very good, providing you with things like: an 8-inch driver display, Sensus Connect, a 9-inch centre dash display with a touch screen and voice control, a High Performance audio system, dual-zone climate control, the best IntelliSafe technologies (including the award-winning City Safety collision avoidance technology), a Lane Keeping Aid, adaptive cruise control and the semi-autonomous Pilot Assist driving aid. The V90 Momentum gets a the base level of luxury and adds things like signature headlights with LED illumination, larger 18-inch or 19-inch wheels, aluminium tread plates, special Textile/Leather upholstery, brushed aluminium decor inlays, optional pure leather upholstery and genuine wood decor inlays, a power adjustable 4-way lumbar support for the front seats, upgraded interior illumination, retractable door mirrors and a power operated tailgate. Love a sporty drive with hot looks? If so, you’ll love to drive the new Volvo V90 R-Design. R-Design features create a V90 with a very distinct road presence that is even more eye-catching. Sports leather seats, optional paddle-shifters, a charcoal headliner and an advanced sport chassis are just some of the awesome features for the R-Design models. 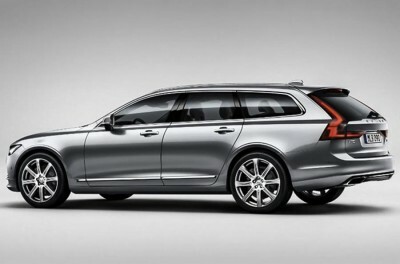 The three big German marques (Audi, BMW and Mercedes Benz) should be sweating as this Swedish wagon is a benchmark car. Volvo’s ever increasing popularity is set to leap forwards with the new Volvo V90 and S90 models, for sure. For any more information on the Volvo V90 or, for that matter, any other new car, contact one of our friendly consultants on 1300 303 181. If you’d like some fleet discount pricing (yes even for private buyers! ), we can submit vehicle quote requests out to our national network of Volvo dealers and come back with pricing within 24 hours. Private Fleet – car buying made easy!